This Ashtanga inspired week will offer students not only the opportunity to relax and de-stress in the beautiful surroundings of Grenadine Lodge but develop their yoga practice. Celia and Martin’s approach is strongly influenced by anatomy studies to help all students of varying experience, body structures and physical history to move forward in their yoga in a mindful way. Each morning will begin with pranayama, followed by an Ashtanga based class. The class will be adapted to the students requirements, focusing on precision in poses and on the development of breath work. With two teachers, there will be a high level of individual help. The early evening class will take the form of a workshop, looking more closely at particular asanas and using a combination of short sequences and partner work to help students move more deeply into the poses. These workshops will also use restorative yoga, meditation and yoga Nidra to bring the evening session to a close. 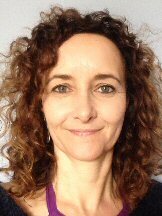 Celia has been a yoga practitioner for over 10 years and a teacher since Feb 14. Over the years her motivation for practising yoga has changed from a physical necessity due to years of running and tennis, to a lifestyle choice. Celia completed her yoga teacher training with Brian Cooper of Union Yoga. She teaches Ashtanga yoga, flow yoga and chair yoga in the St Albans and Harpenden area. She continues to regularly attend yoga teacher training classes in many diverse areas of yoga to enhance her yoga knowledge and teaching. After working in the building trade and playing football for 30 years Martin developed a back problem. Taking a Yoga class in 2002 felt like a last resort for him. However Martin found an instant connection to the Yoga practice and at last, relief from pain (through pain!) He began to practice with his teacher, Ivan Amaral weekly . This quickly became twice weekly. His Yoga practice soon became THE priority in his weekly activities. After 6 years practicing with various teachers, Martin was encouraged to take a teacher training course. Undertaking this with Jenny Sherwood. He qualified as a teacher in 2008. Martin developed his teaching by covering Jenny’s classes for 18 months, while she studied in Australia. Around the same time Martin also took on a weekly Ashtanga class at Breathing Space in Harpenden. He led the class for 10 years and had many wonderful Yogis pass through it. Since Breathing Space closed he has moved to the beautiful space at Mid Herts Golf Club. Further classes and Martin's own practice are taken at his self - built Yoga Studio, at his home in Harpenden. His regular Ashtanga practice now consists of Primary series 4/5 times a week. For some considerable time he was under the guidance of Cathy Haworth, who helped him recover his practice following knee and hip surgery. He continues his own personal Yoga development having taken further study with teachers including Joey Miles, Lucy Scott, John Scott, Manju Joi , David Garrigues and Jo Prakash .